Discussion in 'Tools, Procedures, and Testing trouble shooting' started by Grumpy, Mar 15, 2017. 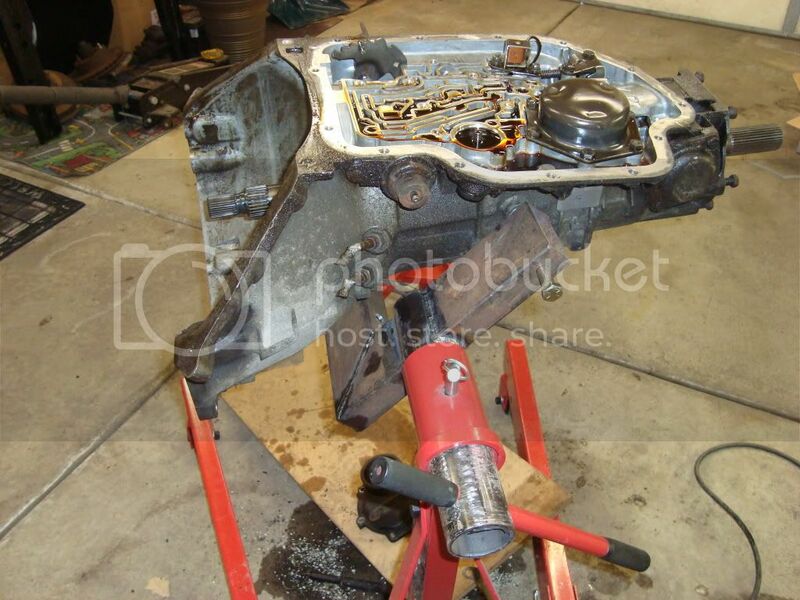 EVER CONSIDER BUILDING, RATHER THAN BUYING A TRANSMISSION HOLDING FIXTURE? 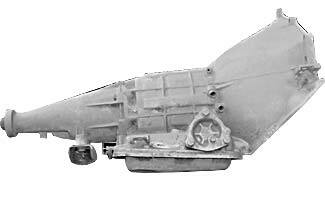 I called the local "U-PULL-AUTO-PARTS"
and I asked again, any auto trans regardless of make/model/year? Ok guys, I was looking in my shop the other day and saw my three TH400's sitting on the floor. I grabbed one and monted it to my engine stand by the bellhousing. I called up my transmission builder and told him to come over and take a look. 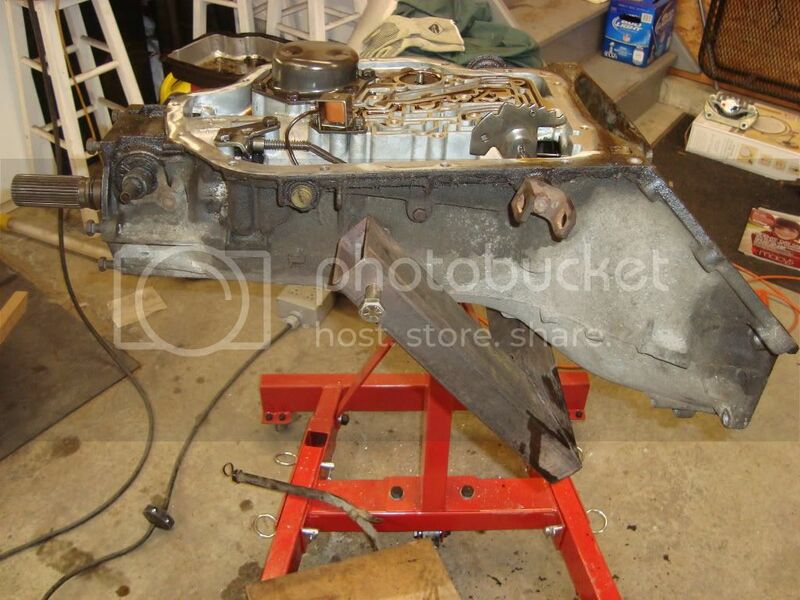 He said that's a great way to mount the trans, but if you want to rebuild it you have to use a transmission fixture. He looked at my welder and some steel I had laying around and said,"Dude, you should build one." This is what one looks like if you buy it. So I woke up the other day, grabbed my coffee and went out in the shop. I looked under my bench and located some scrap 1.5"x3" eighth in thick rectangular tubing. 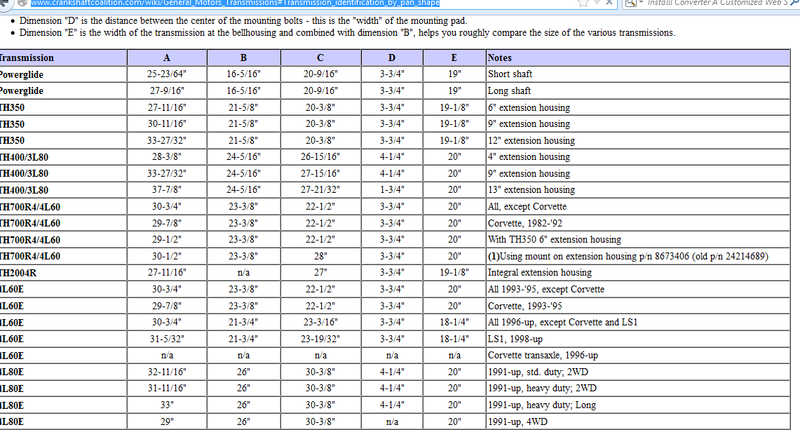 I looked at my trans and got some measurements. 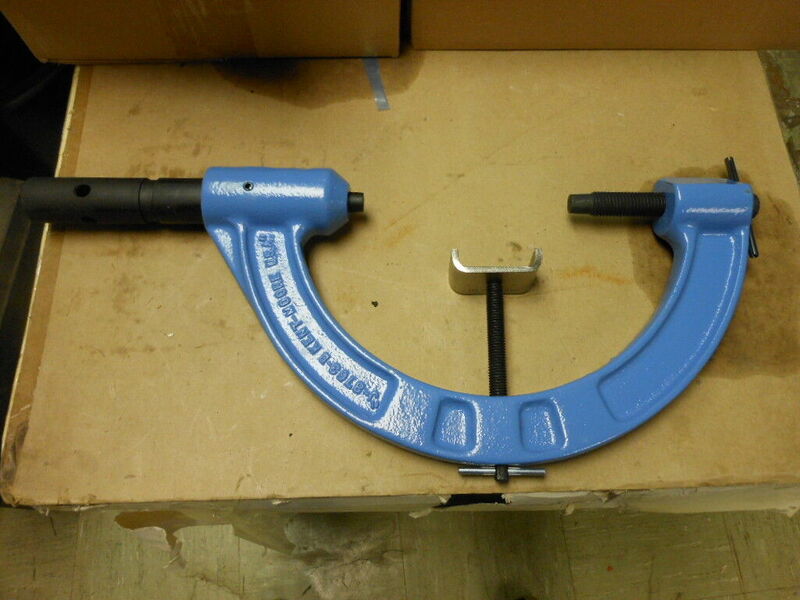 I cut the ends at 45* angles, but you could probably just square the ends. The inner width between the legs is 9 5/8" wide. The legs are 12 1/4" long. 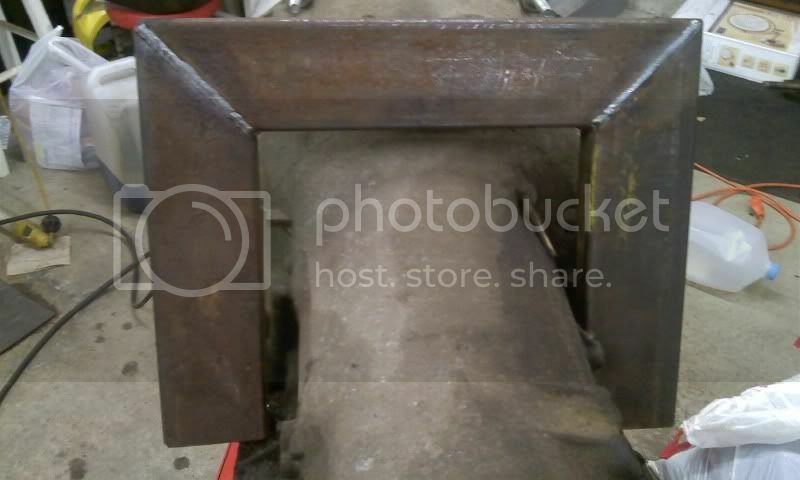 and the overall width of the top piece is 15 5/8". Now it really doesn't matter what you overall width is, just that you maintain the 9 5/8" inner width, so you can slide the fixture over your trasnmission as shown below. 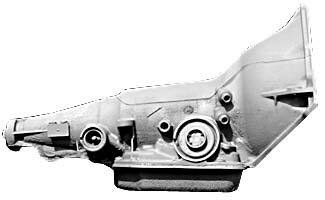 As you can see, the fixture slides over the top of the transmission with ease. Now, you have to make a way to hold the transmission in place on the fixture. So, I proceeded to drill some 1/2" holes into the sides of the fixture, 1" in from the end of the tubing. Then I bought some 5" long 1/2" bolts to go into the side of the transmission. I also bought some square nuts and welded them to the back side of the fixture legs. Now I had to figure out a way to mount the fixture to my HF engine stand. 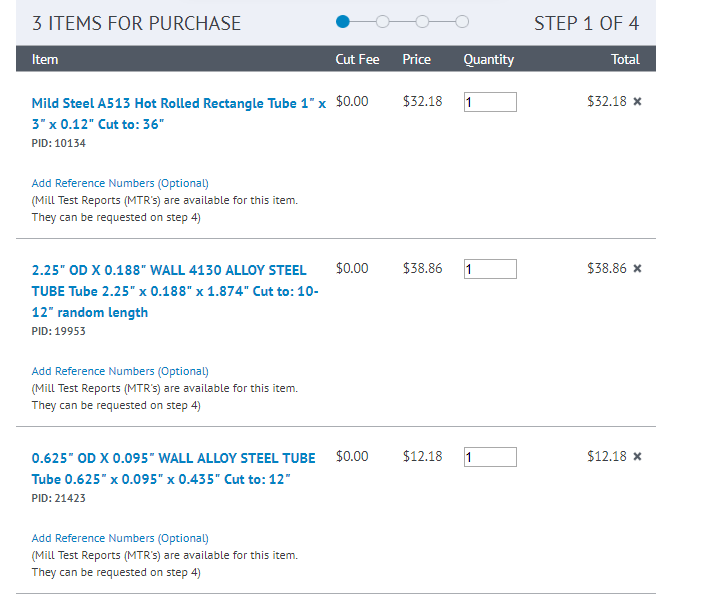 I was debating about making a mounting plate to bolt to the engine plate, but I decided to get some 2" black iron pipe. The OUTER diameter of the pipe if 2 3/8", and that's the same as the INNER diameter of the top post of the engine stand. I cut a piece of the pipe 11" long, I then proceeded to notch the end to fit OVER the rectangular tubing. I clamped the rectangular tubing to my work bench, using the 1/4" thick top plate as a reference edge. I then slid the pipe over the side of the tubing, making the CUT out part 4 1/4" from the TOP of the fixture. I then squared the end up with the edge of the bench top. 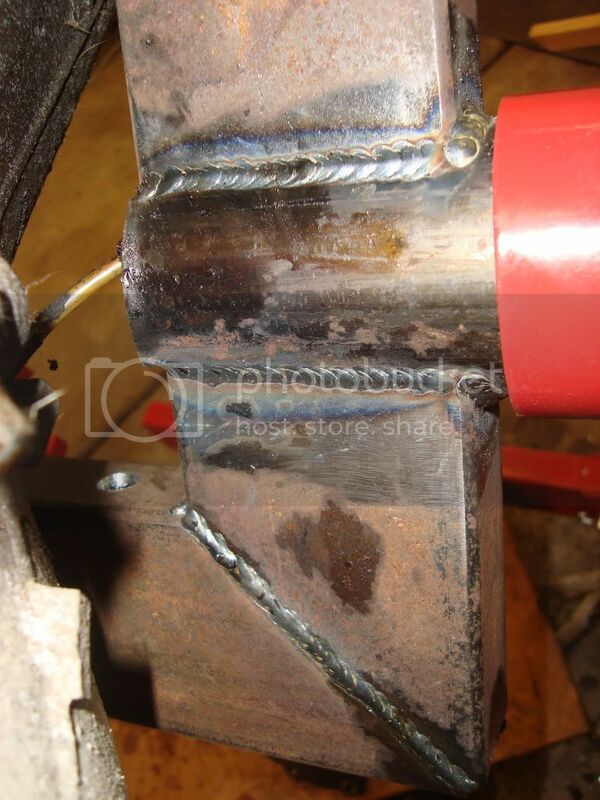 I then burned it in using my Lincoln 140T welder. Maniacmechanic1 and Strictly Attitude like this. you might be surprised to find the cost savings may or may not be as significant as you might imagine. you may be far better off simply purchasing the tools. you may have access to a great deal on the materials or have the basic components already in your shelf stock, in that case if you have the fabrication skills and tools its a no-brainer to build rather than buy! 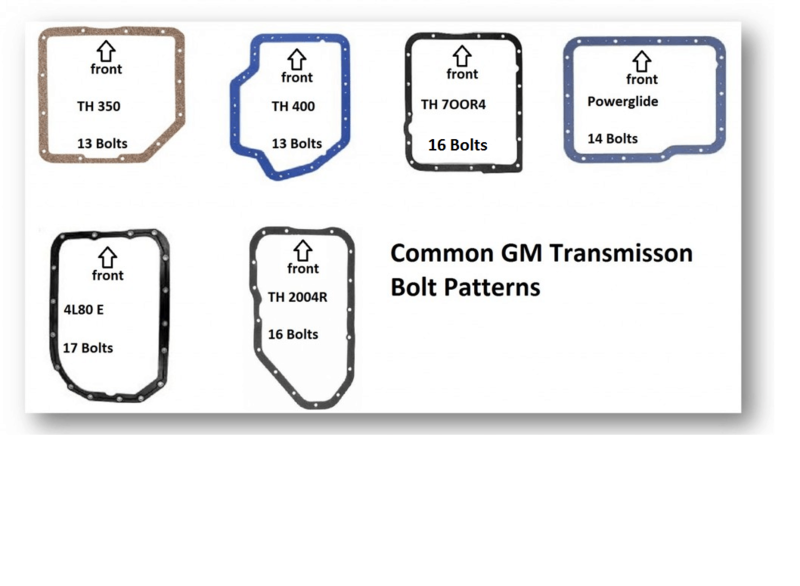 To the untrained eye, nearly all GM automatic transmissions look the same. 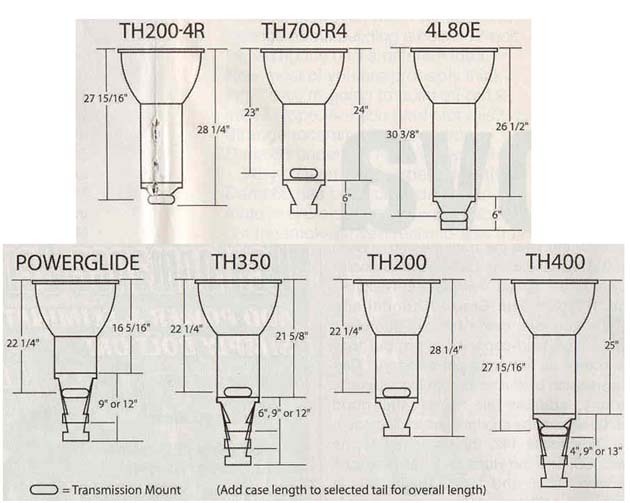 They are all made out of aluminum (with the exception of the very early Powerglide), they have the same bellhousing bolt patterns, and they have very similar case designs. There are some things that you can do to make sure that you are properly identifying the 700R4. It’ll look most similar to the 2004R at first glance. 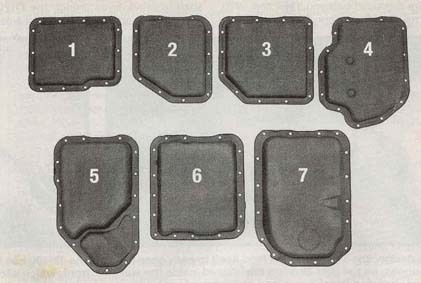 If you need to start from scratch, try this old article from Hot Rod. If you find a 4L60, you’ve found a late 700R4. They are the exact same transmission. However, the 4L60E is physically similar, but not easily substituted for it’s earlier counterpart. 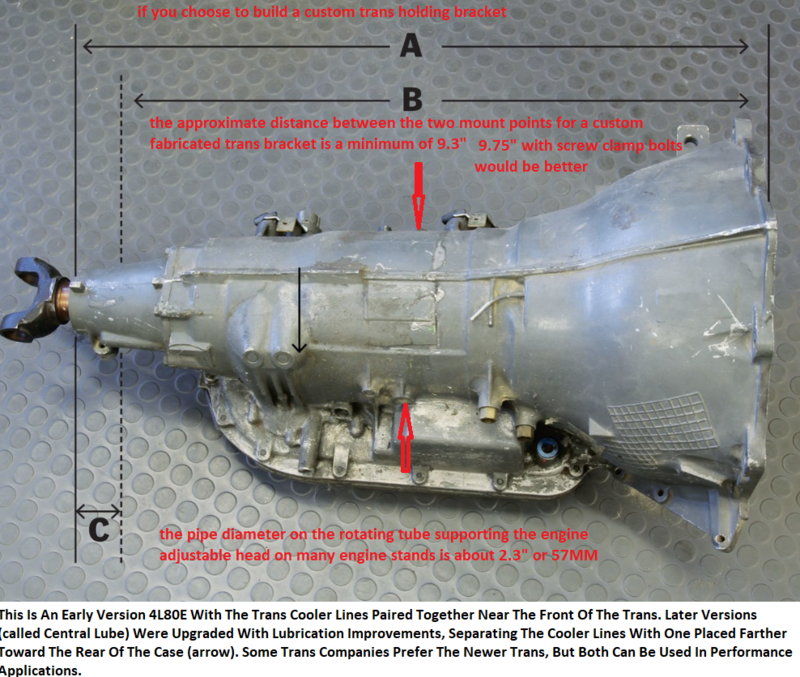 If you see the term MD8 stamped on the passenger side of the case, right by the bellhousing. 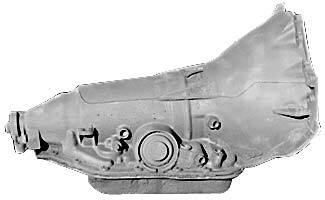 Using the pan bolt pattern, as well as the number of bolts, is the easiest way to achieve insure proper 700R4 transmission identification. The easiest way to identify a 700R4 underneath of the car is to look at the bolts. If you have a clear view of the transmission count the bolts. Did you count 16? If you did you have found a 700R4 or a 4L60. 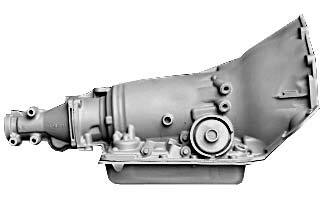 Remember, 4L60 was just another moniker for GM’s popular overdrive. You want to make sure that you don’t have a 4L60E on your hands though. In most cases if someone has told you that you are looking at a 700R4 and you count 16 bolts you can be reasonably sure that you have found what you were looking for. But to be sure check to see if the long “TV-Cable” is attached to the Transmission. If there is none look at the tail shaft. If the speedometer cable is mechanical than you have a 700R4. If it has wiring coming from it you are looking at a 4L60E. Sometimes when people don’t really know what they are looking for, they will search for MD8 transmission. MD8 is stamped on the passenger side of most 700R4 cases. 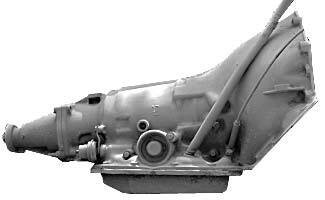 Lets say that you have found a transmission at a swap meet, on Craigslist, or at the salvage yard. 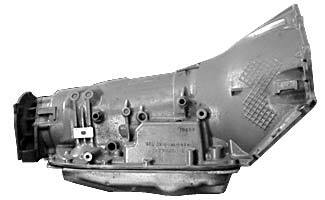 Many people want to know exactly what year the transmission came from, and what vehicle it was in. The first digit of the Identification Tag will be the model number. It is not intuitive. The first units were for the 1982 model year. So you would expect the first model year ID number to be either 2(for 82) or 1, right? It’s not. It starts with a 9 and then jumps to 3. You’ll find the plate right at #1 on the image. The second group of digits is the Model indicator. It’s two letters. 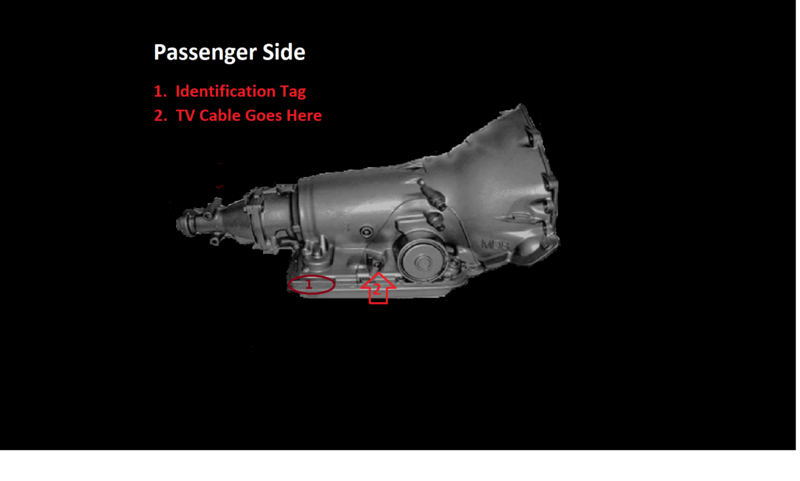 After the model the next area of the tag is the transmission type. It is one letter. In this case M is letter code for 700R4. 82-85 are missing this entirely. Try using the method above to figure it out. The fourth area is the plant that the transmission was manufactured in. It is one letter. 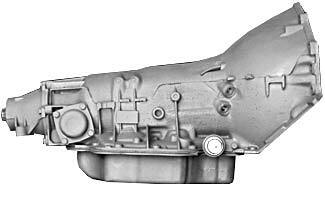 The fifth line in the code is the serial number of the transmission. If the serial number is ground off it’s likely that it was rebuilt by GM at some point. The sixth line is the date of manufacture. The seventh line is the shift in which the 700R4 was built. 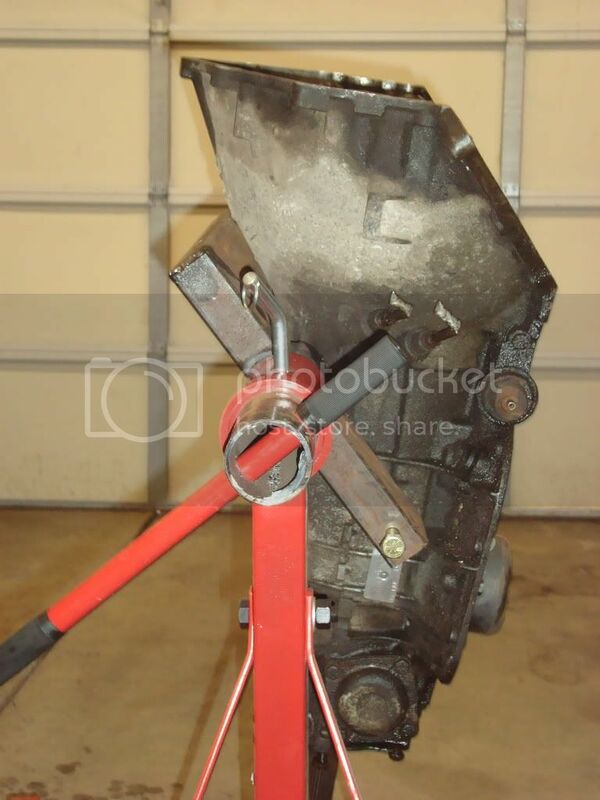 I bought my Kent Moore Transmission Holder for $225 I recall in 2009. I like Pontiac SD421 Blue so thats what color it is still. Pretty good deal..on ebay today.